Trainer Chris Munce has elected to run talented gelding SAINT PATRICKS DAY in the wet at Doomben today. 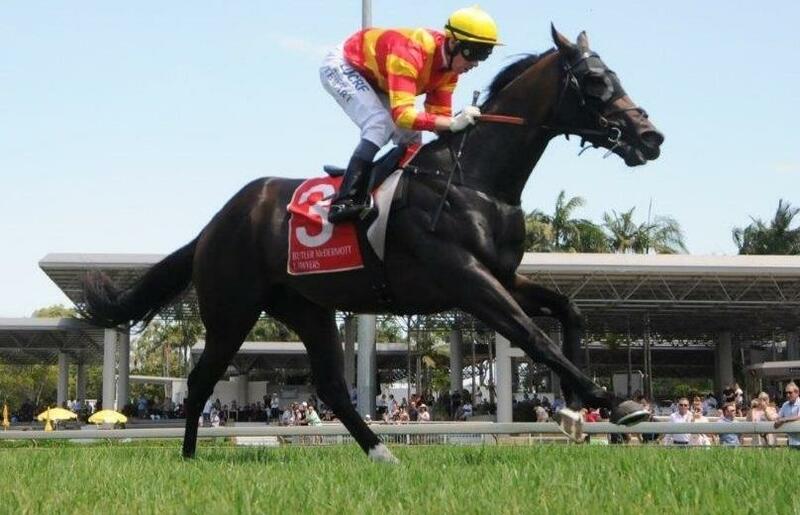 Heavy downpours across the south east has seen a host of scratchings at the Doomben meeting, but Munce said the four-year-old would line-up given he knows SAINT PATRICKS DAY has no trouble handling a wet track. The horse has won three from five starts on soft going and also ran a close-up second on on a Heavy 10 at Doomben in November last year. "At this stage the races are still on, although I'm not sure if we'll get through to the end of the day. The track is a heavy 9 this morning and with continued rain, we may get a downgrade," said Munce. "Patty handles the wet, we know he likes the heavy so he'll go around if the races last that long (Race 9). He's had a bit of time in between runs which he needed and he seems to be very fit and healthy again now. "Whether he'll be a bit vulnerable on the wet track after a bit of time between runs, I'm not sure, but the horse looks a lot better than he has before and whatever he does today, there's still some improvement in him."